Each Monday, Miles has decided to drop a tip, hint, tutorial, trick that maybe you’ve missed or haven’t heard before. If you’re an expert in this field, some of these may be things you already know, but there are a lot of beginners out there who are just getting their feet wet. This week we will show you how you can earn extra points while you dine out. MMMondayMemo: Join a dining program to earn extra points. You may not be able to pour two teas at one time, but you can earn two kinds of points and that is still pretty cool in my book. What are award dining programs? These are partnerships that loyalty programs have struck with restaurants to reward you with their points when you dine with them. You don’t have to do anything besides sign up for the program and enter your credit card details. 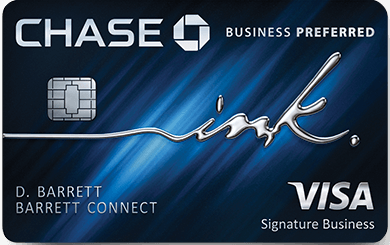 This pairs that card with a dining program and each time you use it at a partner restaurant you’ll earn points. I use the Alaska MileagePlan dining program, so when I dine at a partner restaurant I earn both Alaska Points and credit cards. No fuss, just pay and earn two kinds of points. There is NO reason why you shouldn’t be doing it. It’s more mindless than watching the Kardashians. WAYO! Almost every program has an offer between 1000 and 3000 points to sign up. Great opportunity if you haven’t done so yet. Earn points with your credit card and with an airline. I MEAN! How do you find partner restaurants? Keep your points alive – it’ll put activity in your account. I wrote a post about keeping an eye on expiring points. No thought or extra time after you’ve linked. If I eat out enough I’ll be enjoying some Cathay Biz again. Only 50k from the U.S. to Asia. Next Article Indefinite ban of electronic devices from 10 International airports to the U.S.